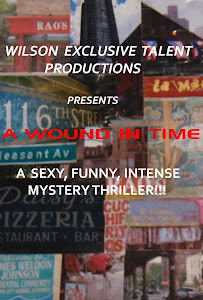 A WOUND IN TIME: THANKS! GRACIAS! GRAZIE! Thanks you Janie Braxton, David Brooks, Roetta Collins, and Ernest Eans Jr. for your donations to the feature film production of A Wound in Time!